In the age of digital, brands are increasingly spreading their marketing budgets across mediums and channels to ensure maximum exposure. Influencer marketing programs, especially micro-influencer campaigns, can be revenue drives when properly executed. 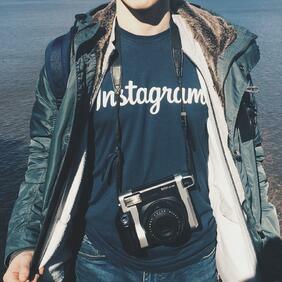 Brands need to think of influencer marketing as another channel, not a layer of social media. Ask the bigger questions about the impact this new product content will have on your sales and public opinion. The more your product comes up in a feed on an Instagram, the likelier a consumer will purchase it -- it’s a similar principle to retargeting but feels more authentic for the consumer. Marketing teams can provide feedback to the influencer based on performance, whether it’s on placement or messaging of the product itself. Winning brand teams will encourage testing and measuring. Coupled with tracking performance having a longer term partnership that was properly vetted, brands must understand be vigilant about fake engagement. A recent study by Sway Ops found that a single day’s worth of posts tagged #sponsored or #ad on Instagram contained over 50 perfect fake engagement. The average brand spends $25,000-$50,000 a year on influencer campaigns, losing 50% of an entire budget on fake influence can be harmful for any company. Consistency is key. It’s a saying for a reason - especially when outsourcing product experiences and information. Maintaining product information, catalogs, and imagery across sales channels requires coordination between internal and external teams and needs to be consistent to control consumer experiences. Brands that provide content information and digital assets to influencers are equipping them with their brand experience and will enable the influencer to accurately promote their product. Digital assets must go hand in hand with the physical product to ensure consistency and optimal digital experiences.